Bryce Nobles is a senior majoring in American studies making his way in the business world. He provides insight into the worth of a humanities education and shares his keys to success. PROVO, Utah (June 24, 2015)—Bryce Nobles was in his exit interview for his mission in Stockholm, Sweden when his mission president’s wife, a former BYU guidance counselor, finally asked him the question, “What do you want to be when you grow up?” Before his mission, Nobles was an economics major with a childhood dream of becoming a judge. After speaking with her, however, he changed his major to American studies. Now Nobles is turning his humanities education into a successful business career. 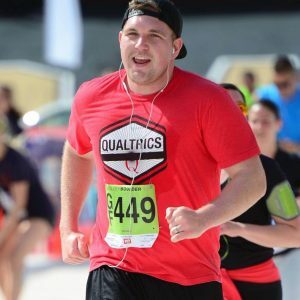 Last November, Nobles started part-time at Qualtrics (a private research software company based in Provo that helps companies make better business decisions through the use of powerful insight tools, primarily in the areas of customer, employee, and market research) as a low-level account developer. Now he is working full-time on the enterprise team doing business development for top-tier companies like Fox and NBC. He accomplished this by being different. Kristin Matthews – associate English professor, American studies coordinator and Nobles’ internship advisor – said that Nobles’ American studies background has provided him with a different perspective than his coworkers. “He’s taken something that people have looked at over and over again, and he came in and said, ‘Well, have you thought about it this way?’ It blew their minds,” she said. The ability to learn and synthesize new ideas. More and more companies are looking for these skills in potential employees instead of a strictly technical skill set. Nobles explained that while accounting or business management majors follow very specific roles, humanities majors are much more versatile – in fact, American studies majors take classes from 15 different departments across campus. “How you describe yourself is how you limit yourself,” he said, and he believes the skills of humanities majors are limitless. This provides what Nobles refers to as “pivot ability,” the ability to adjust in the work field. Versatility alone, however, does not ensure success. Students must refine and practice these skills. According to Nobles, there are three important steps humanities majors should take if planning to go into business: talk to professors and advisors, do internships early on and get involved with the business school clubs. In fact, a case study Nobles did with the Business Strategy Club led to his current position at Qualtrics. “[An internship] is on-the-ground learning, and you are applying certain skills that you already have,” said Matthews. “You’re synthesizing new information, and you are contributing to something bigger. Internships help you amplify and practice the things you learn in your classes.” She added that internships are clarifying for students. Nobles, for example, did an internship with Judge Vernon F. Romney and worked in the marketing department at BYU Independent Study. He liked the creativity of business but was not fond of working in the court system, so he decided to switch paths. While Nobles built up a strong résumé through his internship experiences, club commitments and other extracurricular activities, this was not enough. According to Matthews, humanities majors must be able to tell their story in the language of their desired field or industry. 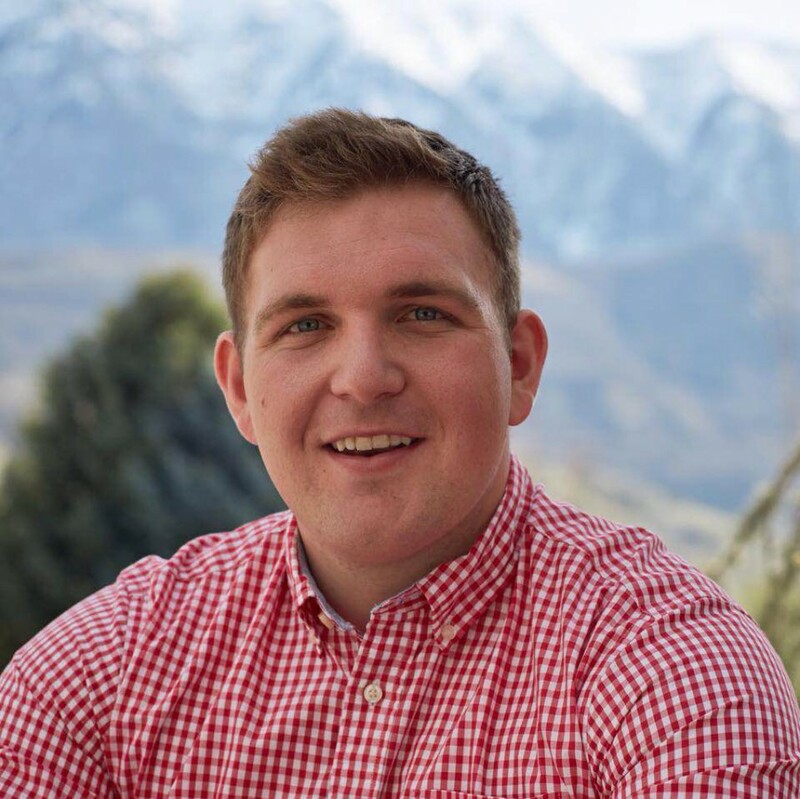 Nobles plans to graduate from BYU in December, after which he hopes to thrive in a job where he can help other people develop and share the lessons he has learned. He would be happy to start sharing these lessons with anyone interested and can be contacted through his LinkedIn profile. Success is just a matter of planning, executing, and reviewing according to Nobles. “If you can do those well, there’s no stopping; you can do anything you want,” he said. Kayla covers American studies for the College of Humanities. She is a junior pursuing a dual degree in French studies and Journalism with a minor in international strategy and diplomacy. First photo courtesy of LinkedIn. Bolder Boulder photo courtesy of Right Guard.